How was your Ammathon in London? I hope you got to see her. I had a wonderful time. Some highlights included getting Darshan with Mum in which Amma recognised her from 14 years ago, doing Arati for Amma (the flame) and feeling so deeply the sense of family and community. Also, I love to serve, especially Embracing the World, so that’s always good 🙂 I got a deep sense when doing the Arati to Amma that “I’m ok”, as if that was being said by Amma / Divine / my true Self. Sounds small, but it was actually very big for me. There was so much else, but I can’t write it all now. I will keep it brief as I am very tired and have yet to pack because…….. I have decided to go to the Netherlands with Amma at the last minute! I will be back on Thursday. Sorry that I couldn’t give you more notice about this. I am writing to remind you of the exciting news that Amma will soon be with us here in London 🙂 On Tuesday no less! If you are thinking of coming, it’s really important to allow much more time than you think you need. Either because queuing for a Darshan token takes longer, or because you want to stay in the energy longer, or you bump into that long lost friend etc. Something always happens with Amma. The atmosphere is teeming with life, with shakti, with all good things 🙂 I have been feeling her presence in the last 2 days in particular…there is this alive quietness speaking something…a language I don’t understand but that I knew long ago, and still know somehow – somewhere deep inside. I will be on the massage area, most likely on the massage chairs, so do come and visit if you are there. I have got hold of the Q&A I had with Adyashanti this summer during the retreat. It has given me a lot of cause to reflect on this awakening embodiment evolution and what stillness really truly is. If you would like to hear it, let me know and I can arrange it via Dropbox. I wanted to remind you that I am back in action now and that I will be offering distance sessions via Skype or phone on Monday Bank Holiday, half price: £45. This deal includes pre-booked sessions. The retreat was sensational… Really something unexpectedly mind-blowing. What I want to say about Adyashanti is that he is possibly the only teacher or guide I know who refuses to take authority away from anyone, even in a subtle way. I have found this to be consistently true over the 14 years that I have known him. The effect of that, is actually immense. Greater than I could have imagined before doing this silent meditation retreat. I will write more as I go. For now, I would like to share with you a poem I wrote in the middle of the retreat (hence the title of this post). However, due to formatting issues here, I am unable to do so. Therefore please contact me on daisynokes22@yahoo.com to receive it. I must say I am thrilled to have the opportunity to deepen into this great, deep silence……….who knows what will happen in this great adventure into the unknown? The inner dive, swan dive, into mystery. I will be unavailable in communication – on a silent meditation retreat – from tomorrow until the 22nd Aug, when I will be back in action. I want to share a few more learnings from the Ammathon (as a friend rightly called it! ), which I hope will benefit you. During the program in Toronto, Amma said something which really struck me. She said, “Vasanas have no power of their own. It is we who give them power.” I realised in that moment, how powerless negativity really is. Her statement also cut through, in me, the tendency to become so familiar with something, that I begin to misuse it. What I mean is that I have talked about my ‘vasanas’ (latent negative tendencies) or issues or behaviour so many times, I can forget that it is I myself who permits them to have the power they have and who actually gives that power to them. I thought this could strike a chord for many of you as well. I would add that it is our tendency to identify with such internal arisings, which is the mechanism by which we give them the most power. The most core life story I had, the one which had most coloured my experience of reality in this lifetime, came up during the last couple of days with Amma. We save the best for last, don’t we? For me, that was the love story – the agony and the ecstasy of romantic love, and underlying that, the nagging feeling that the right relationship would fulfil me and close any remaining ‘gap’. This probably sounds familiar to some of you, perhaps to many of you. I know – it’s a hard one to admit! I am not going to share the private details of that, sorry 😉 But please bear with me anyway. There is something more important than that part of the story. It began on the treadmill, of all places, not somewhere I frequently find myself. But going to the gym occasionally, during the tour, helped me get time by myself (which is almost completely impossible on staff) and helped me move energetics that were stuck. Suddenly on this treadmill, the desire to be free of that core story hit me, like never before. I simply HAD to be free of it; I could carry it all no more. So with this fire, I made a silent cry – a prayer – within, to Amma. With that, I let go, knowing that it could go either way: perhaps I would get free of this pattern, perhaps I would not – it was in the hands of Divinity now. Shortly after this, Amma did a Q&A with the retreat group outside, in the unseasonably hot evening sun. There were only about 500 of us there. Right from the beginning, I felt a large amount of fear and anxiety coursing through my system, to the point where I could barely sit still. I didn’t know why I was feeling this way, it was like a body thing. I decided to focus more intensely on the question that was happening, and on Amma’s answer. As I looked at Amma, she made a certain movement as she talked with her hands, and with that I was gone. I felt as if I was merging into Amma from where I was – it was part-visual, part-kinesthetic (akin to the way I sense, during a session). As this happened, any remaining sense of separation fell away and I began to cry. In this oneness and tears and the whole un-conveyable experience, I suddenly knew that all my desire, lack and longing for this person – and all women and men who I had ever felt that towards – was really the longing for God. I simply knew it. Not as a concept and not as a philosophy, and not as an excuse. I actually saw it. I saw it in such a way, that it felt like I could never actually un-see it. I also sensed intuitively that all my other desires were also the longing for God. I felt freed at last…….truly, truly free. (NB God in my perception is also Truth, wholeness, unity, oneness etc.) The next thoughts were, “Why have I been running after men and women all this time?” and “How could I have missed this reality all these years?” Then the strangest thing happened: I experienced depression for the first time in my life. As I sat, purposefully alone, eating dinner, I felt depressed. But there was absolutely no resistance to it. The sense of oneness was so broad and pervasive, that there was absolutely no problem with feeling depressed. In fact, I was pleased to be having the experience, because before that I never understood what depression was. I knew what pain was, deep gruelling emotional pain, but I didn’t know depression until that moment. I then experienced suicidal ideation! But again, there was no problem with this either, because there was zero resistance to it. And it existed in a context of oneness, of Love. After about an hour, both of these so-called negative experiences passed of their own accord, without me doing anything at all about them. In hindsight, I believe they occurred because my ego had just lost its trump card, which was the core love story drama. With that gone, it seems like it had to play the depression and suicide cards to try to regain ‘control’ of my bodymind. But that didn’t work: these feelings and thoughts simply passed through, as I said. So then I was just there: story-less and One, feeling a sense of ordinariness and freedom. Nothing special, yet complete liberation. I make my newsletters personal because I don’t believe I can help unless I talk from my own direct experience. I hope that by reading this something may have resonated or sparked for you. First off I want to tell you about an upcoming training in the IAM, Amma’s meditation technique, which came to her in a vision while she was taking a nighttime stroll around the ashram many years ago. I highly recommend it to anyone looking for a way to connect with Divinity, a fantastic meditation technique or simply a way to unwind, calm thinking down or relax the nervous system. Whatever intention you bring to it, will gradually manifest in your life. It is being held in Brighton / Lewes on the 17th / 18th September. The cost to cover room hire etc. is £35; please contact me if you are interested. My next recommendation is the Foundational Vortex Healing course being held here in London, 19th – 23rd September with Anthony Gorman. It is hard to begin to explain what Vortex Healing has brought into my life so far because it is so broad and deep. I was thinking recently about why I practice Vortex Healing more than the other helping modalities I am trained in. I came to the simple conclusion that, in my personal and professional experience, it is more effective at deepening you into the core of what you are and releasing the roots of what you aren’t, than any other modality of help I have trained in or experienced first hand. Now back to the Amma tour this summer 🙂 It was interesting to hear Amma explain in an aside during one of her talks in L.A., that the external aspect of Kali – the fierce appearance – is designed to bring out the dormant doubt in the devotee. I immediately thought of those of you who have felt that Amma has glared at you or ignored you etc. over the years. If she is indeed an embodiment of Kali (which I personally believe), then this might help you make sense of what she is doing there. From my perspective, no action Amma makes is unconscious, and Yes – she can bestow focus on many many people at once. Anyone who has experienced the ‘staring Darshan’ at the end of Devi Bhava will know about this. When she is ‘Kali with us’, perhaps Amma is indeed purposefully bringing out the poison of doubt in the process of life and Divinity. If this kind of insecurity exists within in a suppressed state – for example, as cynicism – it gives rise to all kinds of distortions and disorders in the experience of living, not to mention in the body. On a similar note, it is not uncommon for people to not want to be with Amma if they have strong issues with their own mother. It is easy to put your birth mother’s face over Amma’s face, subtly and subconsciously projecting onto her. If you had painful childhood experiences, you may then fear that she will hurt you in some way, get angry with you, punish you for something you did or ignore you etc. If this sounds like you, you may even find that when you approach her for Darshan, that you have negative thoughts towards Amma. All of that is part of the process of you healing from things which are sometimes unimaginably deep in your system. It will not hurt Amma in any way. In fact, she has been known to ask us to project anger and negativity onto her using the Amma dolls, in order to release in a harmless way. It is possible to see at some point, that the thoughts you have towards Amma are really thoughts you harbour towards yourself. Now for a little story 🙂 I had a profound experience of Divine Intention during this tour with Amma. Having something like that really changes your life, because before that the idea that the Divine can reach into your life and move it in a certain direction is often just that – an idea, perhaps a hope, or a dream. Here is what happened to me. Out-of-the-blue, during Devi Bhava in Toronto (the final stop on the tour), my boss told my friend and I to go and sit with Amma on the stage. We were understandably astonished, because this lady is known for wanting people to work very hard. We jumped at the chance and made our way onto the stage. We stood beside the ‘bouncer’, an entertaining yet stern man who always wears a suit, and manages the part of the stage nearest to Amma on all the US tour programs. Again out-of-the-blue, he invited us to sit together directly next to Amma. Let me explain that this never happens! It was really out of character for him. We felt so lucky, and beamed at one another 🙂 As I watched her up-close, each movement Amma made as she gave Darshan would bridge me deeper into presence… Then, she suddenly turned and looked at both of us directly, smiling. It was amazing… That look will never leave me. It was a look of the purest knowing… It was so rich, so full… Both my friend and I reported the same things: it felt like Amma was communicating that she herself had brought us into this tour on staff, and that this exchange with her was a kind of ‘graduation’. We both felt this deep sense of Amma acknowledging all the seva we had done, and of the inner work we had done and also we felt this incredible depth of solidarity between us. We felt as if Amma had given each one to the other to help us complete the tour. Somehow I knew, intuitively, that I had just had a real life experience of Divine Intention. And in the wake of that, doubt vanished. I wish I could put this all into words better. But maybe it isn’t possible to do that. The mystery manifesting into creation, manifesting in all kinds of ways, every moment… You can see why the wise men (and women) say, better to sit as silence. I want to address a question today which people often ask me, or ask me without words. Why Amma? Why do I do this? Why go and pay a handsome fee to work without pay, under conditions which some would consider harsh? The answer is simple: it’s love. I look at Amma, and I love her. The depth of that love makes me want to support her work, serve Embracing the World (her global charity), and beyond that, to serve life in its entirety. For me, it’s passion; it’s not a ‘being good’ thing. It’s not even spiritual. Imagine being in love…now times it by 500…that’s nowhere near it. This is bhakti (devotion) in real terms. Everyone has their own particular relationship with Amma, and certainly Amma devotees are all there for different reasons. Some of my friends, clients and family feel put off by the culty appearance of it all, by some of the devotees (who can be far from loving) and by the pretentious ‘holier than thou’ dynamics. Those of you who know me even a little bit, know I am definitely not the poster girl for holiness 🙂 No; it’s a love thing. Pure and simple. So, what were the physical realities of being on volunteer tour staff, you may wonder. In my particular seva, we were working around 14 hours per day (every day) and longer on a Devi Bhava (the all-nighter). We got roughly 5 hours sleep per night, on the floor, sharing a room and bathroom with between 6 and 40 women. Then, after the long Devi Bhava, we would get on a coach and travel to the next city. Some of those journeys were over 22 hours long. When we arrived, we would sometimes get only a few hours sleep before set-up and work began. We delivered programs in 10 cities, over a 6-week period. As I laid my eyes upon her, hugging the person in front, tears welled up. I felt this love for her that was beyond anything I had ever experienced, and yet ordinarily human at the same time. I simply rejoiced within, at the sight of her. She moved my head around quite a bit before finally placing it on her heart, while she answered the questions of some devotees to her right. It always amazes me how one never feels left out in this scenario: Amma’s attention is deeply with each one of us simultaneously, which is testament to the sheer depth of oneness she is living. She then kissed my cheek and embraced me, chanting in my ear with a kind of vehemence in her voice, “My daughter! My daughter! My daughter!”, over and over again. I fell into total oneness…….. At the same time, the human being felt her as my teacher and as my mother – somewhere where those two are one and the same. And the experience of trust was overwhelming. As Amma finished the hug and handed me prasad, we drew back from one another and she looked deeply into my eyes. I cannot adequately express in words what I felt pass between us in that exchange: it was simply beyond the beyond. I then felt deep gratitude and expressed it somehow from oneness. Amma’s expression altered to one of such profound compassion….…something just too immense to convey. She embraced me again and then placed a chocolate in my mouth. That was the moment at which my searching gently stopped. My life’s search ceased in that moment. It was, perhaps, what many teachers have described as the end of seeking. Immediately after this I experienced true happiness: powerful, pure, authentic, unconditional happiness. I felt restored, redeemed – completely. There was total and utter wholeness. I’m not talking conceptually here, but actually. The real thing. As I walked away, I collapsed on the stage in tears beside Amma. I was crying, and then I was sobbing; there was no way to do anything at all, and I couldn’t stop. But I was actually sobbing with happiness. My heart broke open under a force: that of revelation, unconditional happiness, union…Truth. Simultaneously, I experienced a spontaneous healing of my past, which came from nowhere. Dad’s death, the break-ups, the childhood trauma, the fear, isolation, despair, loss, loneliness, lack and doubt – all of these were consumed by something I cannot describe. I cried and cried, wiping my make-up from my face with my sleeve, only to cry uncontrollably again. How are you? I hope you are enjoying the Bank Holiday, and not working like my poor flatmate! I have decided to take tomorrow off in order to take proper care of myself before my move and big trip with Amma. My apologies to those of you who were waiting for this opportunity. There will be others once I get back (16th July). Obviously if you are in crisis, or even semi-crisis, do call me. I will be available until Friday, and then contactable sporadically by email while away. I was also fortunate enough to do a session on a client who reminded me of me some years ago, which was a sweetness on a personal level 🙂 One of the things that was similar between us, was that she was crying and almost hyper-ventilating with a fear release during most of the session, yet she had the courage and the trust to keep going in anyway. That was me when I got into Vortex – every time I experienced the energy, I would react like this. I was able to see a good amount of detail about what the issue was for this person, and the childhood experiences that had concreted it. Afterwards, I was actually shocked by what she said and the way she said it. She exclaimed, “I was in so much pain! I’ve been in a serious car accident before and I wasn’t in as much pain as that.” Thankfully she had already intuited that this was a good thing in terms of her healing process. Bear in mind I was not using any bodywork, or therapy, in this session: my client’s response was purely due to the density of the underlying root conditioning breaking out from her. It is sometimes hard for people to believe it could be true that even physical pain is not really rooted in the physical body. Perhaps it is simply too threatening for some to entertain the idea that the wild torrents of the inner landscape with which we are all in touch (to some degree or another), the subtle bodies and the unknown itself, could be the true origin of the suffering we experience on any and every level. But what would such a person conclude if they were actually watching the above session unfold..? It is an interesting question. I had the pleasure of talking with two friends about awakening yesterday, one at lunchtime and one at nighttime. Lucky me! In the first conversation, my friend and I were talking about what it meant to us to ‘want awakening’ before it happened. For both of us, it wasn’t something that we knew really; it was something much more subtle than that. And yet this subtle unknown curious sense burned and resonated within each of us. And somehow, we both found ourselves waking up young and before almost everyone around us. We shared that awakening is not a game – there’s no game there, no map or gain – there’s no point to it basically. Even the word awakening is misleading in a way. We went on to say that, as human beings, we all do what we love: we are into what we are into, and that’s simply that. In reality, nothing ‘gets you there’ – gets you interested or engaged or involved or awake, if you are not already into it. It’s not a progressive thing – like a hobby, or a career, or a soulmate connection, or climbing the spiritual ladder. It’s nothing like that. It’s so simple…so simple, and so unfrilly. My title refers to an old trance tune on Sourmash records, which was helpful in bringing me towards spirit in my teenage years. In a deeper way, I am referring to what I am about to do in June: I am very excited – and honoured – to have been given a staff position on Amma’s US tour! I will be volunteering in the clothing boutique. It’s funny because I was thinking of ways I might get into the feminine and embody that more, and then I got given this position 🙂 Feel free to ask me any questions you may have about what I will be doing or what the tour involves. I will be away from the 3rd June to the 16th July without internet or phone access, so please do get all your sessions in before then. I have been re-doing the Art of Meditation with Adyashanti this week and wanted to share some of the wisdom with you. Adya discusses the fact that awakening is not just an initial moment in which the I falls away, but it is also an ongoing unfolding. And for that part, meditation is crucial. In this sense, he disagrees with non-dual teachings – and I think rightly so – which tend to discourage practice (albeit covertly). Even if it is not said outright, the implication in many non-dual teachings is that practice is not all that important. Yet I simply haven’t met anyone who is deeply embodied as their true nature who has not engaged deeply in ongoing practices. So from my point of view, I wholeheartedly agree with Adyashanti on this important and often perplexing point. Please do offer your experiences with this, as I would be interested in them. This is a brand new day! It’s quite a statement coming from an avatar, the one kind of being who actually can truly teach, directly, and with acute accuracy. So we can see then, that this enlightenment game is really not about teachers or teachings. It’s about something else entirely… I would dearly love to hear your thoughts on what it is about, so please write to me about this 🙂 Also, please do join me on Facebook. Search for Daisy Nokes. I know I went through a privacy period, but that is over now. If you feel you would like to join in with weekly coming-togethers of like hearted souls, just to remind you that I am going to Villa Devi in London every week to sing and chant and be with Amma devotees. It is a deeply transformative and amazing way to deepen your practices or path and to gain the sense of community. Let me know if you would like to be put on their mailing list. Some of the results I have been getting through working with the U-AP level of Vortex Healing are remarkable. A client rang me to say that she “couldn’t feel anything” and she was concerned that she was emotionally disconnected. But when I looked into her system I could see that the work we had done together was so transformative that she had lost an entire ‘place’ or position in consciousness from which she had been living her life up until now. That is the power of this healing art combined with the way I work with Amma. I always wanted something which could actually remove issues, not just make the prison more comfortable, but actually deconstruct the prison piece by piece. Thank goodness I found Amma and Vortex Healing and that I am able to share that deconstruction with you, in you. This is the deepest gift I have ever been given. I also facilitated a session this week in which I worked on the core position underlying back pain that my client had had for over 8 years, and with which she had been working in a variety of very helpful ways. Yet somehow the pain remained. Immeditately after the session she was able to flex her lower back again and the pain was barely noticeable! She also remarked that her voice had changed. This is something wonderful which can happen after a session, as if the person is speaking from a different place and without something ‘in the way’, that something being the issue worked on. There was also a beautiful moment when I was doing some awakening coaching with a client and I asked her (because she was feeling a lack of clarity) what clarity meant to her. She replied simply, “Knowing my Truth and moving towards it”. I knew immediately that it was a pivotal moment for this person, because once you speak so authentically out loud the Divine hears (and you yourself hear) that and the transformation of life truly begins anew. Ok that’s all for now. A bit of a long one – thank you for bearing with me 🙂 I feel very over-excited! How are you this rather cold day? On Sunday I was given the opportunity to facilitate a group healing on Leila Sadeghee’s Yoga Immersion here in London. It went very well indeed and I was thrilled about it! Leila commented that it felt to her like receiving an individual session, which is encouraging considering that there were around 20 people receiving the work. A lot of information came through also for people individually afterwards when they approached me with questions and comments about their experiences. All in all, it was wonderful and something I would like to continue with in the future. It was the first time since Dad died 5 years ago that I have facilitated a group and it feels good to be back in the groove of that. I would like to know if you would be interested in receiving group healing, either at a distance or in person at the venue in London EC1? Something else which came to me this week and I wanted to share with you is that, if you want awakening in this lifetime you have to really want it, naturally, and you need to truly engage with your life and your path (dharma). None of this hiding out in non-dual getaways will do it – it doesn’t work. I tried it for years, and I see a lot of people trying to do it that way, but what happens is you get stuck and believe you are ‘there’, even if that means ‘nowhere’ (which, if you look at the ego, is actually still trying to get somewhere). Many of the so-called teachers of non-duality etc. in London and around the world are not where they think they are in terms of awakening and embodiment (I am not talking about Tony Parsons here). It is not very difficult to see this if you sense directly into their consciousness. Another way is to look at how they avoid life or their conditioning, or at how they treat others and behave. Often such ‘teachers’ are not really embodying the Truth that they have glimpsed or awoken to. That means that as a student / participant they can’t really help you. Looking at someone like Adyashanti for example, it is clear and evident that the embodiment there is very real and very deep. That is rare, in reality. Just to remind you that, as I explained in my last newsletter, I have received guidance from the Divine on my price per session, which is now £90 for 1 & 1/2 hours. This weekend and last week I was lucky enough to have the opportunity to re-take the Vortex Healing classes Sensing and Advanced Sensing, with Anthony Gorman. I want to share with you some of what I discovered, in order to illustrate what you may be able to experience through taking classes in this amazing healing art, and also to share some of my journey since I am the person in service to your unfoldment when you have sessions with me. It’s only ever a question of awareness…….. There is no need to leave Truth, ever, full stop. In that sense, it is a choice. Do I want to be what I am, do I want to be as reality is – what reality is? Or do I want to be in illusion, trying to make things better (or worse), trying to get better, become something else, something different, something new? Is there something different, something new, other than this awake alive free fall that remains, despite all our attempts to distort and prevent it (because of our conditioning)? It gives credence to Anthony’s reminder to us that this new and updated class is really assisting a very deep embodiment of whatever level of awakening has happened in each student. 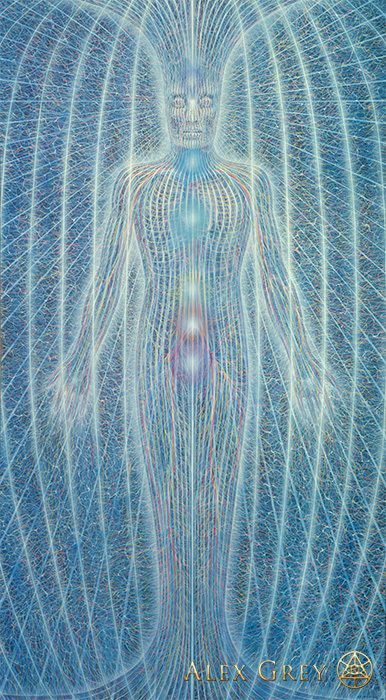 Also, and importantly, the Vortex Healing way of sensing is to sense from and as Awareness itself. This makes it different from most other kinds of healing modalities and sensing methods etc., which are often in reality accessing collected memory, on many different levels. In one way, that common technique is fine because one sees the story of a situation. But in another way, it could be seen as feeding the ego because it is not sensing the Truth of the situation, which would actually create more growth for the receiver. Put in another way, Vortex Healing sensing is not about improving our ability to have experiences and see more ‘things’ – angels etc. It’s about awakeness waking up to itself in this moment, and from that the truth of the situation has space to arise. Our looking for Sensing/Divinity/Love etc. makes us blind, because we’re coming from a perspective that is distorted by lack etc. – by deep conditioning. This new way is really about sensing without looking for anything. Sensing is on a need-to-know basis. We don’t sense what we don’t need to know. That’s why we often can’t see/get things we ‘want’, because that want point of view is coming from lack, or some other conditioning. We sense what we need to sense in that moment. As frustrating and sometimes terrifying as that is for the ego, that’s how it is. In this way, when you go with the Truth in any moment, because you have got to a point where you can feel that, the results are so much more deeply satisfying than anything your imagination could conjure up to tempt you with. How are you? I hope this correspondence finds you well. I want to share with you a poem I wrote some time ago about longing for the Divine. Listening to Adyashanti on the bus just now reminded me of it. Oh what of this mystery? Cut off at the root. I have begun attending satsang every week at Villa Devi in Brockley, South London, on Thursday nights. This is bringing oneness more deeply into my living life and I wanted to invite any of you who would be interested in coming. We sing bhajans, chant the Guru Stotra (like the 1000 Names) and perform other kinds of prayers to Amma. Contact me if you would like the details. She utters such nectar with every breath…I thank the day I met this person. The only person I can call teacher and mean it. I want to talk about something while I am in this ‘place’ as it were. Do you know how it is when you follow your intuition, including speaking that, even though it takes so much courage and it goes against your conditioned reflexes? When I do this, as I did today, it is as if there is an atmosphere which fills the whole room or space…and the truth leaves a wake, waves which carry on. Yet everything is totally still, silent in its essence, and real. It is as if I am touching the depth of life itself, right here in my bedroom. Nothing and everything exists within this, and there is no ‘outside’ or ‘inside’. Simultaneously, my body quivers with the felt sense of oneness – like rushes down my legs and down through my crown. Perhaps this is where the absolute and the humanness meet? To give the ‘story’ part of this, I would have to share something which I know the person involved would not want me to share. It is not one of you, but it feels wrong to detail this. Sorry to be vague.